If you’re a Volkswagen owner, you know that these vehicles are built with their drivers in mind. In fact, Volkswagen actually means the “people’s car” in German! The Volkswagen brand breeds loyalty through the generations. 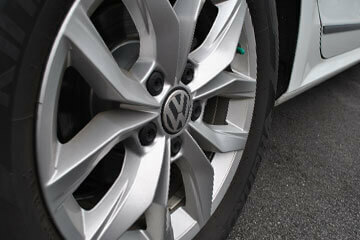 Customers can rely on a higher level of performance from the VW and that expectation keeps them coming back. Spotlight Automotive upholds the highest standards and the same consistency with quality Volkswagen repairs and maintenance. Volkswagen vehicles are known for their unique design and expert German engineering. They should be properly repaired and maintained by people who care as much about your car as you do. At Spotlight Automotive, we believe that exceptional Volkswagen service doesn’t have to come from the dealership. As an independent Volkswagen repair shop, we offer the same dealer-level workmanship while saving you up to 40%. Our shop utilizes state of the art technology and diagnostic equipment along with OEM parts to service, repair and maintain your Volkswagen vehicle. Trust is the most important aspect of your vehicle selection, and it should be the most important aspect of your selection in auto repair technician. In fact, our staff of skilled mechanics includes a master certified Audi/Volkswagen specialist. You can rest assured that your Volkswagen is in good hands at Spotlight Automotive! We always follow VW factory procedures when performing any repair, and all of our work is backed by a 24 month warranty on parts and a lifetime warranty on labor. Our team makes coming to our facility a stress-free experience. You have nothing to worry about when it comes to quality Volkswagen repairs. Between our warranty, reasonable prices and knowledgeable technicians, the Volkswagen dealership just can’t compare. You need a specialist when it comes to servicing your Volkswagen. That doesn’t mean going back to the dealership. Owners need a better alternative like Spotlight Automotive! We treat our fellow VW enthusiasts like family, not like just another number. Whatever your Volkswagen needs, Spotlight Automotive can handle it – in fact, nearly half of the automobiles we service are Volkswagen or Audi vehicles. Don’t take your Volkswagen to just anybody, take it to the team who truly cares. Give us a call today at 312-967-0732 to schedule an appointment. You can also use our convenient online scheduling system. Next time you’re in the area, feel free to stop on by with any questions, concerns, or service needs. Schedule service at Spotlight Automotive and see why we’re Chicago’s trusted choice for Volkswagen service and repairs.